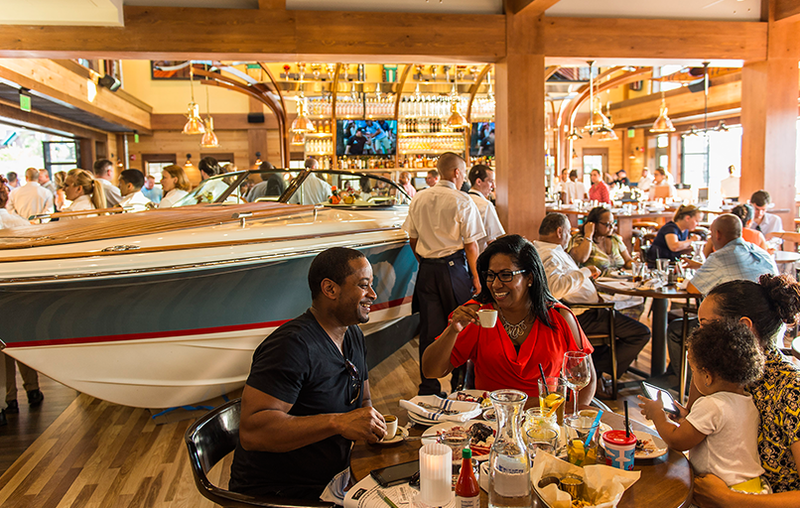 Boathouse, The Upscale, nautically-themed, 600-seat waterfront restaurant featuring steaks, chops, fresh seafood, and a raw bar at The Landing at Disney Springs at the Walt Disney World Resort, opened April 13, 2015. It offers rides on amphibious autos called Amphicars and an Italian water taxi, and displays floating artwork featuring antique mahogany boats from the ’30s to ’50s. Managed by Gibsons Restaurant Group.